New Melbourne Browncoats, Inc. | We’ve got prizes galore for Can’t Stop the Serenity on Saturday! 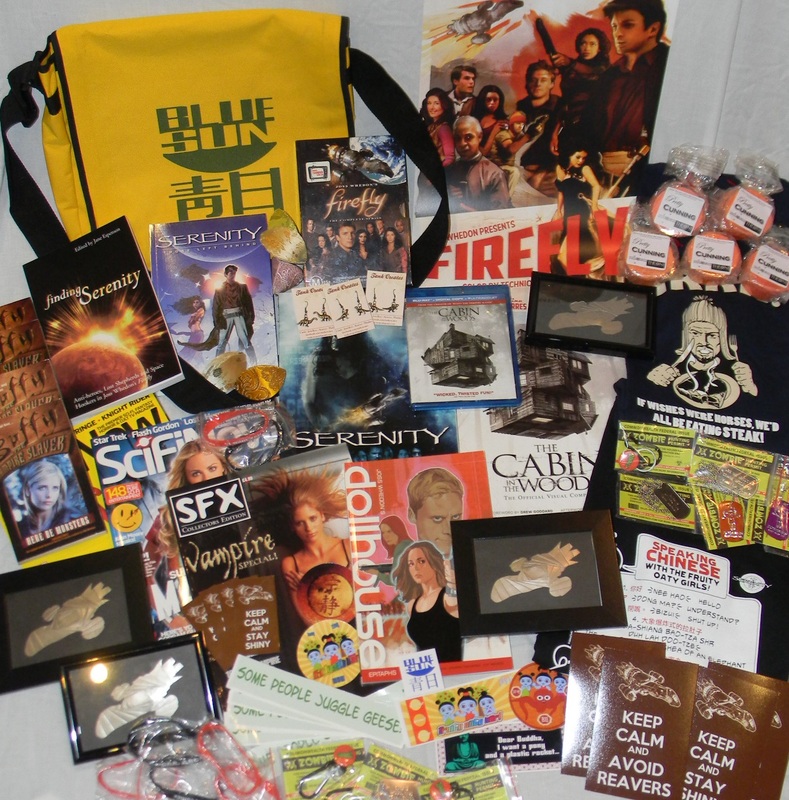 We’ve got prizes galore for Can’t Stop the Serenity on Saturday! So many prizes! So many shiny things to get into the hands of Can’t Stop the Serenity attendees! This year’s raffle is our biggest ever, with over $400 is prizes kindly donated by our fabulous sponsors and supporters. Tickets are just $2 each (or 3 for $5) and will be available when doors open and during intermission. All proceeds are donated our Equality Now so please bring lots spare change and open up your wallet for a good cause! Tickets to Can’t Stop the Serenity are on sale now at http://bit.ly/csts2014.